Giavonni Lucas is the Director of Learning and Performance within the Claims Shared Services Operation for Nationwide Insurance. In this role, he is responsible for leading all Claims training design and development including on-line training and facilitator led learning, supporting more than 7,000 Claims professionals. Giavonni is a member of business unit audit huddles representing training support of learning gaps that directly link to improved performance outcomes. Under Giavonni’ s leadership innovations such as, podcasting, 3-D modeling, on-line cohorts, virtual reality and video hosting modalities have been deployed enhancing the learner experience and knowledge retention. Giavonni has been with Nationwide for twenty-three years and has been in a variety of roles within claims ranging from Manager, Special Investigations Unit to Director, Claims Customer Service and Strategy. 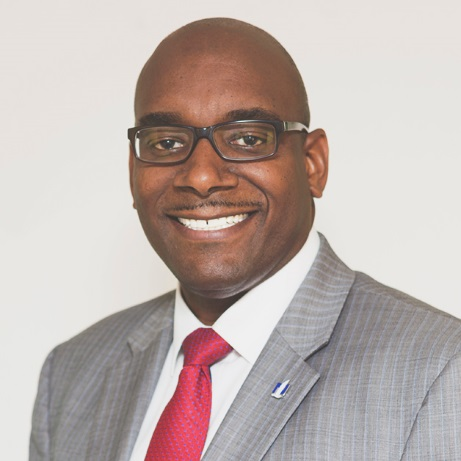 In addition to his career responsibilities, Giavonni has 18 years’ experience in a variety of activities supporting youth development and empowerment. Currently, Giavonni serves as Board Chair for the New Salem Community Development Corporation, in Columbus, Ohio, Vice Chair on the Board of Directors for Mansion Day School, in Columbus, Ohio and serves on the alumni Board of Directors for Le Moyne College as the committee chair for multicultural affairs. Giavonni received a Bachelors of Science degree from Le Moyne College in Syracuse, New York. In 2001 Franklin University awarded him a master’s degree in Human Services Management. Check out the incredible speaker line-up to see who will be joining Giavonni.